IBM has expanded on its relationship with VMware, by becoming the first partner to offer the company’s Cloud Foundation-as-a-Service solution. Revealed at VMworld 2016 in Las Vegas, this industry-first Cloud services partnership aims to enable organisations to quickly and easily move enterprise workloads to the Cloud. With more than 500 clients engaged, the global partnership is expected to allow organisations to extend existing workloads to the Cloud in hours instead of weeks or months. “IBM and VMware share a common vision for providing customers with an easy path from the datacentre to the Cloud," VMware CEO, Pat Gelsinger, said. "This collaboration has been so successful that we’re investing more deeply so our customers can quickly deploy software-defined solutions in just hours to IBM Cloud with all the sophisticated workload automation they have within their own datacentres." In February this year, IBM and VMware started tackling one of the industry's most pressing challenges: extending existing VMware workloads from on-premises environments to the Cloud without incurring the cost and risk associated with retooling operations, re-architecting applications and re-designing security policies. Gelsinger said this partnership is the first step in alleviating the challenge. 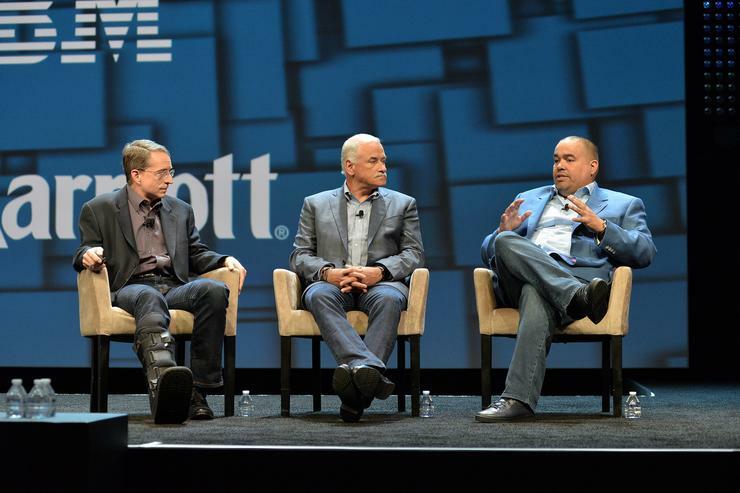 Echoing Gelsinger's comments, IBM Cloud senior vice-president, Robert LeBlanc, said enterprises today require "fast and easy ways" to deploy and move workloads between on-premises and public Cloud environments. “Our collaboration with VMware is becoming the glue for many organisations to scale and create new business opportunities while making the most of their existing IT investments in a hybrid Cloud environment," he added. “We’re proud to be the first partner for the VMware Cloud Foundation and taking vSphere, vSAN, and NSX to market as-a-service will enable partners to scale their environments and provide more value." Looking ahead, LeBlanc branded such “mega-Clouds” as a "great opportunity", advocating that businesses should embrace them. “We will still need IT regardless of if we’re using AWS or Microsoft or any other company’s solution," he added. "What does change is how we use IT." With the company owning a number of different Clouds – SoftLayer, as well as the acquisition of Blue Box – this partnership with VMware expands its Cloud horizon further, added LeBlanc. LeBlanc also said the company is listening to what the market needs are and is trying to help businesses with automation, the management of the environment, and the tooling so they can make use of what the Cloud has to provide. “It is what we call a ‘strikezone’ offering for customers," he added. "As a vendor community, we need to bring these things together and make them work together." In addition to new services, IBM is training more than 4000 service professionals with the expertise required to provide clients with VMware solutions. Hafizah Osman is attending VMworld 2016 as a guest of VMware.